Rovinj is one of the most popular destinations in Croatia and a great place for your next vacation. 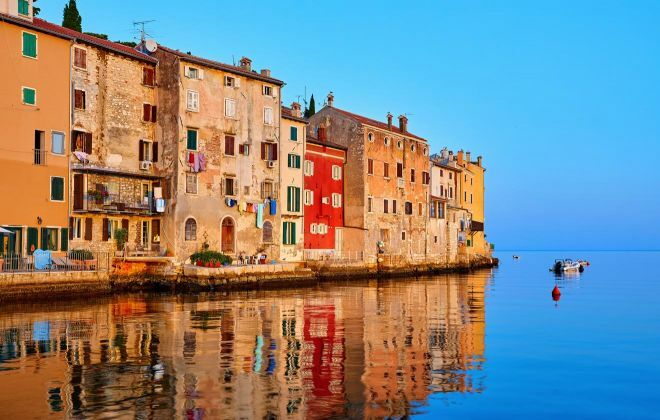 Rovinj is one of the Top 8 charming cities I recommend you visit in Croatia and the land of wonderful beaches, cobblestone streets, amazing cuisine and a romantic place for a getaway. I recommend this amazing little city to everyone: couples, groups of friends and families! If you are planning to go there in the nearby future, then you must be searching for great accommodation options! And I’m here to help: I carefully selected the best hotels in Rovinj, Croatia with fabulous reviews and great facilities and grouped them by price for your convenience! 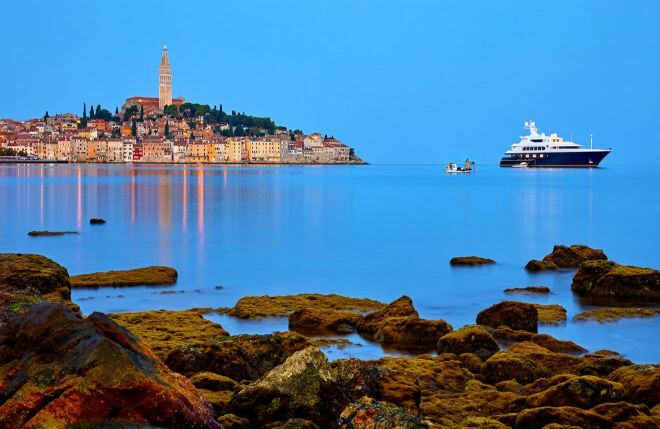 Because of its beautiful vibe and amazing beaches, Rovinj is a popular destination in Croatia. This means the rooms are selling out very fast and you have to book yours as soon as possible in order to make sure you will stay in your desired hotel! 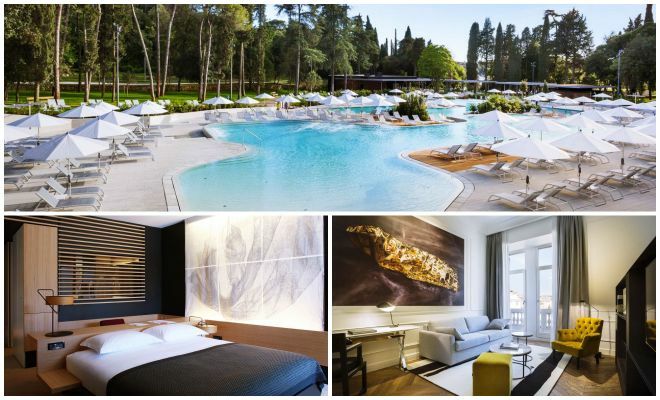 Hotel Eden Rovinj is one of the most fabulous hotels in Rovinj and it is located only 2 minutes away from the beach. During your stay, you can enjoy the outdoor or indoor pools, relax in the wellness and spa area or benefit from all the fun activities organized there such as Croatian lessons, water polo, basketball etc. What more can you wish for? Hotel Lone Rovinj – if you are searching for the best luxury hotel in Rovinj, Hotel Lone is your answer! This hotel is located within Golden Cape Natural Park, extremely close to the sea. Hotel Lone awaits you with amazing facilities such as a nice wellness area, modern rooms, a sushi bar, delicious breakfast and more! Family Hotel Amarin Rovinj is actually set on a green peninsula, a bit more far away from the city center, but super close to the sea! Besides being extremely gorgeous, Hotel Amarin will spoil you with an outdoor swimming complex, 4 restaurants, playgrounds, sports activities and the list doesn’t end here! Hotel Adriatic Rovinj is my last recommendation for a hotel in Rovinj perfect for travelers who wish to be treated like real celebrities. This is a very luxurious boutique hotel located right in the heart of Rovinj Old Town. During your stay, you can enjoy the 2 bars and one on-site restaurant, contemporary artworks, delicious breakfast each morning and more! Bella Natka Bed and Breakfast is my first middle-priced recommendation for Rovinj. This hotel has a great value for money and an excellent location – super close to the beach and to Rovinj Heritage Museum. 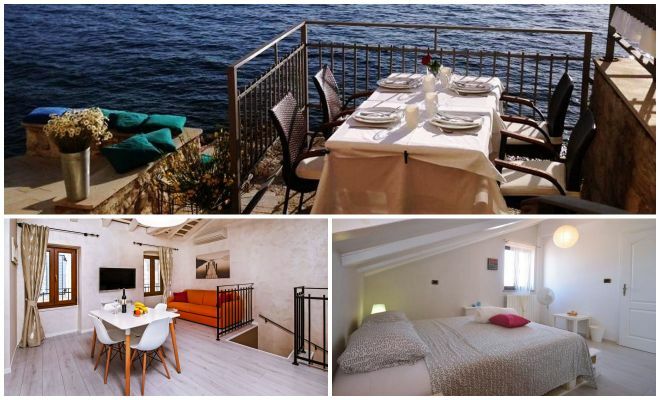 This gorgeous bed and breakfast has everything you need for a great stay in Rovinj! Boutique Natka Luxury Bed and Breakfast is another great Rovinj hotel with a good value for its price. The rooms are more than beautiful and the facilities are perfect! Plus, you can even rent bikes for free from the accommodation if you want to explore the surrounding area! 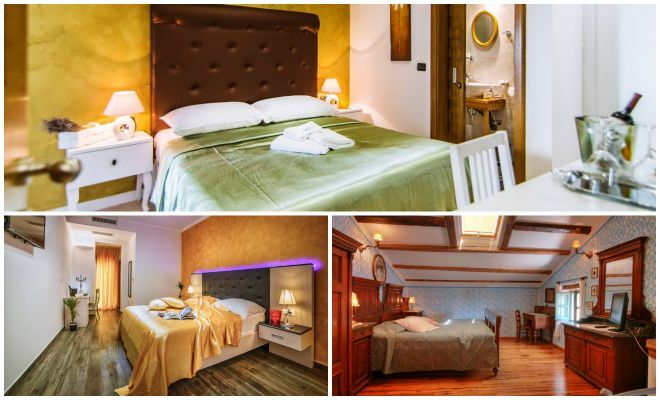 Hotel Casa Garzotto is a nice hotel and the perfect place to stay if you want to enjoy the authentic Croatian style! The hotel is decorated in a classic, old-style way that will charm you right from the start. The facilities are all very modern – AC, satellite TV, dry cleaning, free bicycle rental and more! Bed & Breakfast Villa Squero is located very close to the Old Town and I’m sure you will fall in love with the Istrian specialties served at the on-site restaurant. You will be surrounded by the charming old center, boutiques, shops and galleries, so you won’t miss out on anything! Nice place is a nice accommodation that offers rooms perfect for two people. Even though it is a bit more far away from the city center (you will need a car or public transport), this place offers great value for its money and you will be impressed by the clean rooms, pretty balcony and great facilities. Guest House Da Luci is a nice hostel in Rovinj that awaits you with simple but cozy rooms, perfect for a good night’s sleep after a full day of exploring the beautiful streets. 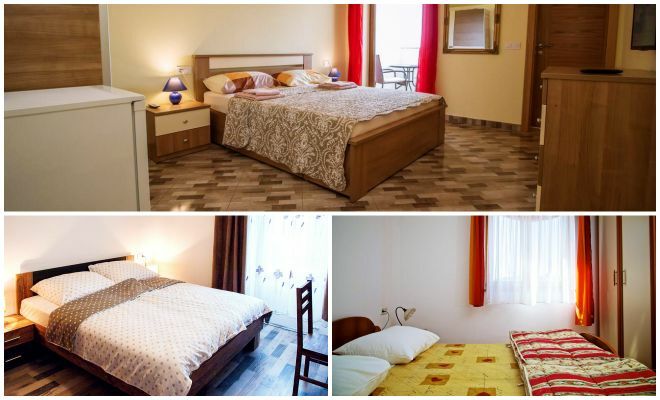 This accommodation is not far away from the beach, while also being close to Rovinj Aquarium. B&B Exclusive I awaits you with everything you may need for a great stay in the city. This bed and breakfast has a good location, not far away from Rovinj beaches. The rooms are tidy, simple and comfy, perfect for a good night’s sleep. [email protected] Valbruna is my last recommendation for travelers visiting the city on a tight budget. This B&B has nice rooms, a comfy seating area and a great terrace where you can relax and meet other people from around the world! Apartments Tamburini is a nice luxury apartment in Rovinj that awaits you with beautiful, ocean-inspired decorations and a wonderful garden where you can relax and unwind. You will find different kinds of apartments available here, suitable for 4 to 6 people traveling to this beautiful city. Royal Apartments is an apartment located right in the heart of the historical area of Rovinj and the perfect place where you will feel like a queen or king. The rooms are gorgeous and the apartment has a stunning view over the sea! A&D Apartments offers a variety of choices, from a studio apartment perfect for 2 people to a gorgeous apartment with sea view for up to 4 people. Regardless of what you’re choosing, you will be greeted with a nice atmosphere and good facilities! Apartment and Studio Tereza has many options you can choose from: a studio apartment suitable for 2 people, an apartment with balcony and one with terrace, perfect for a group of up to 4 people. The rooms are very clean and the kitchen is fully equipped. Grisia 26 Apartment Rovinj is another great choice that will make you feel exactly at home. This apartment is located only minutes away from the beach and it’s perfect for up to 4 people, as there are 2 bedrooms available. Apartments Aalvar and Aalto is a clean and cozy apartment located in the heart of Rovinj, with a great value for money. This accommodation in Rovinj, Croatia has everything you may need, from beautiful decorations to a fully equipped kitchen and facilities. Click the link to check out the pictures of the property! Apartment Casa Banko awaits you with clean and comfy rooms, perfect for relaxation after a day of exploring Rovinj. The apartment also has free Wi-Fi, air conditioning and access to a beautiful garden, so I’m sure you will enjoy your stay there! Apartment Iva has nice and cozy rooms, a fully equipped kitchen and a nice dining area where you can spend time with your friends. Check the options from the link, you can choose from a studio apartment for 2 people or a bigger one, suitable for 3. Apartment Kiko has everything you will need for a pleasant stay in Rovinj. The apartment is close to the beach, it has free Wi-Fi, a flat-screen TV, washing machine, fully equipped kitchen and even a spacious terrace! Holiday homes and villas are the perfect choice for people traveling in a large group of friends and who want to have their own vacation “playground”. Rovinj has some very good choices for villas, so I chose the best of them for you. New Holiday Home Rovinj is the perfect luxury villa fit for up to 5 people who want to spend a fantastic time in this beautiful city. You will be happy to know this amazing villa has its own private pool where you can enjoy some well-deserved relaxation time together with your friends! Holiday Home Casacomenoi is another great option if you want to stay in a gorgeous villa. This holiday home has a stunning city view and is located very close to the city center. Moreover, you can even spend some time on the beautiful terrace! Casacomenoi is perfect for a group of up to 6 people. Casa Scala is a perfect choice if you want to enjoy some authentic Croatian atmosphere and decorations. This villa is very close to the sea and it’s a good option for a group of up to 5 people. Lovely house is my recommendation for travelers visiting the city on a tight budget. This house is big enough for up to 3 people and it awaits you with clean rooms and an overall calm atmosphere. Even though it is a bit more far away than the rest of the accommodations and you will need to use a car or public transport, it has a great value for money! EXCELSIOR Apartments Rovinj is the perfect place for a luxury stay for a family of up to 5 people. This accommodation has an excellent location, in the heart of Rovinj and very close to the beach and to the rest of the attractions in the city! Apartment Art is my other choice for a great luxury stay in Rovinj together with your family. I recommend it for a family with one or two kids and I’m sure you will feel incredible during your stay! La Fondiaria is an amazing 3-star accommodation with a great value for money. This hotel has free Wi-Fi, a nice terrace, and the best part is that it is only 11 minutes away from the beach! 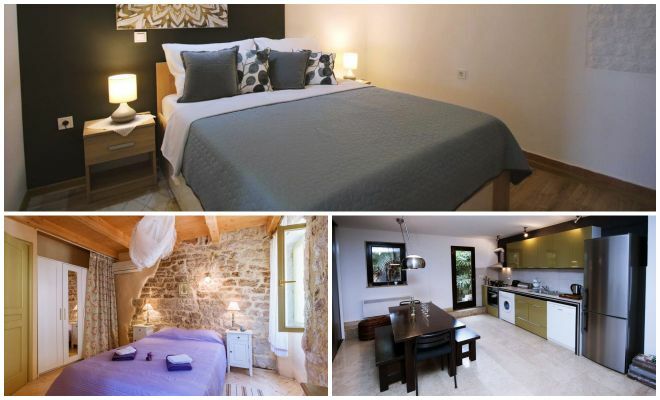 Apartments Cvek is the perfect choice for a middle-priced accommodation. 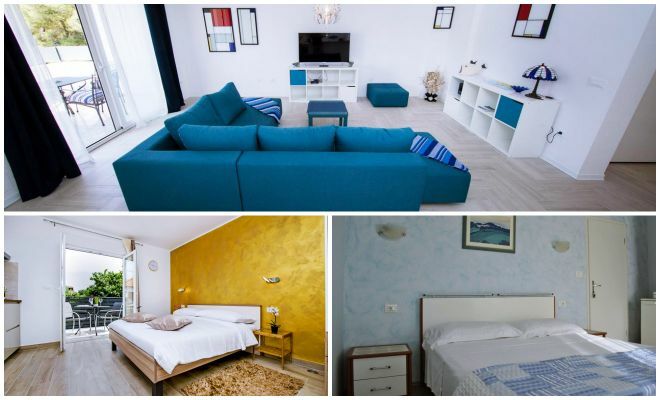 You will be amazed by the clean rooms, nice decorations and the great location: right in the heart of Old Town Rovinj! Apartment Antonietta is the perfect budget choice for a family of 3 or 4. The accommodation is not far from the city center and it awaits you with air-conditioned rooms, a cozy seating area, a fully equipped kitchen and more! Apartmani Gržinić is another great choice for Rovinj. This cozy and nicely decorated apartment will spoil you with a terrace, kitchen, comfortable rooms and even a barbecue where you can enjoy meals together with your family! I hope my list of recommendations for Rovinj accommodation was useful for you! 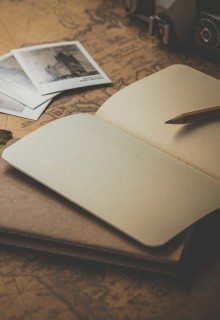 In this article you could find accommodation fit for any kind of traveler, regardless of your budget and preference. 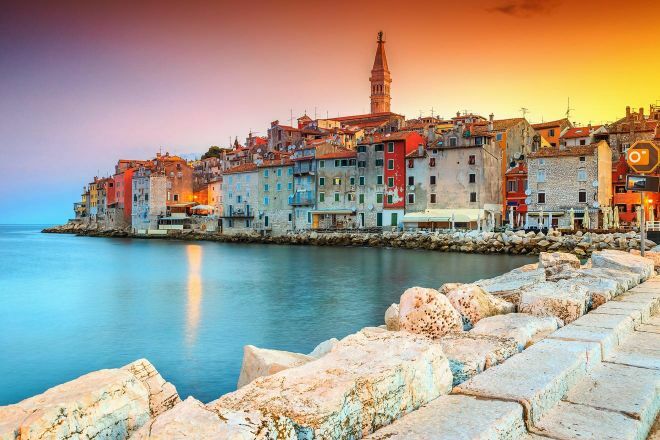 I have carefully chosen hotels for each budget, apartments and even holiday homes and villas, perfect for your Rovinj holidays! 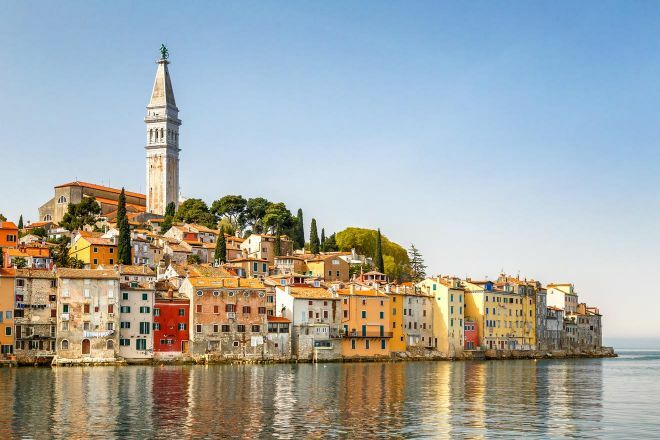 Because Rovinj is such a popular destination among travelers in Istria, the accommodations are selling out very fast, which means it is always better to book in advance! In case you want to read more about Croatia, you can find all my articles about this country here. I hope you will enjoy your stay in Rovinj, Croatia. It is indeed a wonderful city! As always, if you have any questions or suggestions, you can leave them in the comments. I’m always happy to hear from my readers! 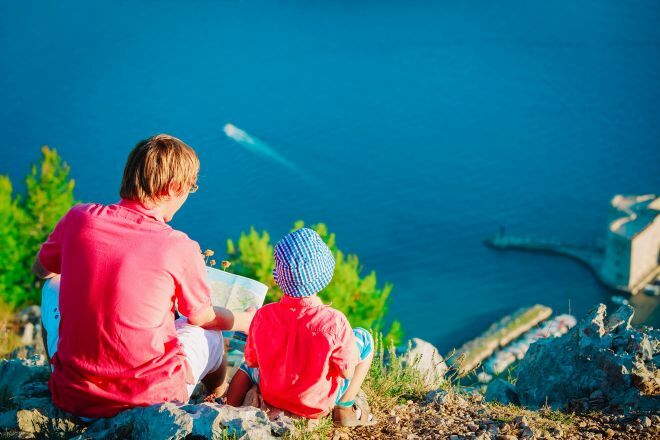 8 Things You Should Know About Plitvice Lakes, Croatia (2019 Update) 8 reasons Istria region in Croatia should be your next vacation 8 Charming Towns In Istria (Croatia) You Should Visit!